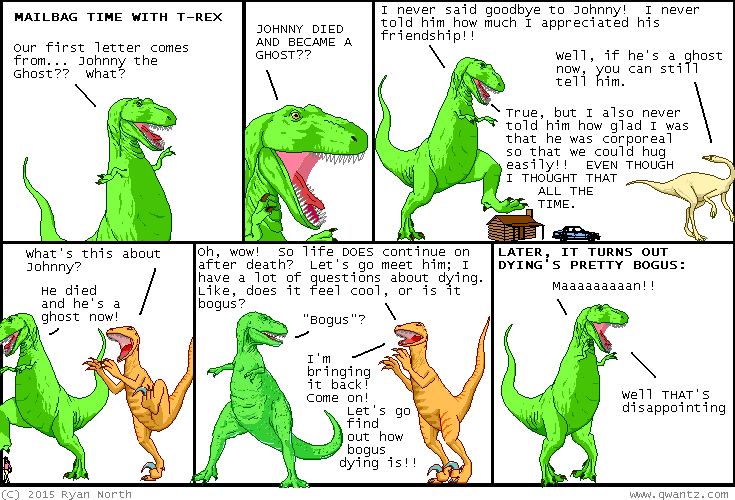 Dinosaur Comics - February 5th, 2015 - awesome fun times! –"Icy" you think Captain Scott didn't make hilarious puns!! One year ago today: "The universe is big. It's vast and complicated and ridiculous. And sometimes, very rarely, impossible things just happen and we call them miracles." - POPE, OR DOCTOR WHO? ?